Along with passion for cooking comes a passion for eating and enjoying all types of food. 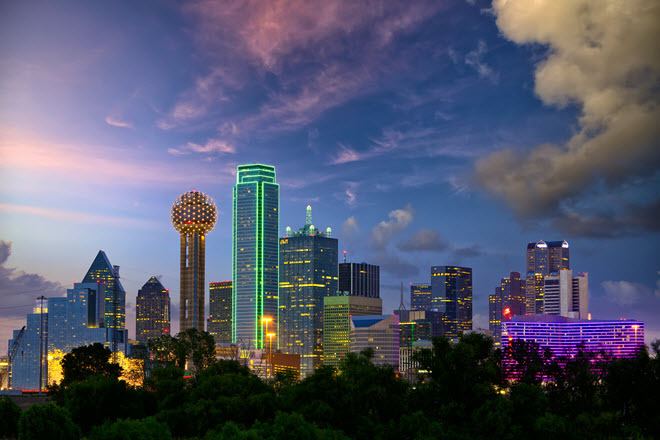 Dallas delivers both: a handful of fine culinary schools and a unique and surprising array of restaurants and eateries. This cosmopolitan metro area is hardly the sparse western outpost town once depicted in the movies. Here is a city built on big industry and with a populace as varied as any other major American city. Culinary arts schools offer programs designed to meet the needs of an industry on an unstoppable upward trajectory. Plus you’ll find classes suited to both full-time and part-time students, college-age and adult learners. Since most chef training programs feature externships in their curriculums, expect to have the opportunity to work and learn in some of the best Dallas restaurants and hotels and from some very notable chefs. The French Room located inside The Adolphus Hotel is an award-winning restaurant with a corps of top chefs in the kitchen and a sumptuous menu. Dishes are known for their innovative French-American character. Fuse, one of a notable number of fusion restaurants, is a hip trend-setter. Diners are treated to innovative and fearless taste combinations. One of the premier culinary curriculums comes from the famous Le Cordon Bleu program in France. The program follows the traditional chef training closely, with departures into classic American cuisine. With Dallas as a backdrop students in the Associates of Applied Science in Le Cordon Bleu Culinary Arts are able to sample some of the best southwestern American cuisine while they study. The International Culinary Schools are some of the most popular in the nation. This well-known program has consistently graduated award-winning chefs. The curriculum spans a range of cuisines and teaches you the ins and outs of kitchen management. More than that you are guided to explore your own creativity with flavors and ingredients. Programs include diploma, Associates degrees and Bachelors degrees in general culinary arts, pastry/baking, restaurant management and beverage management.